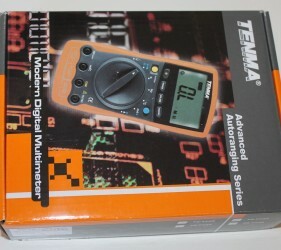 In this post, I will review a nice multimeter by TENMA, model 72-7735. 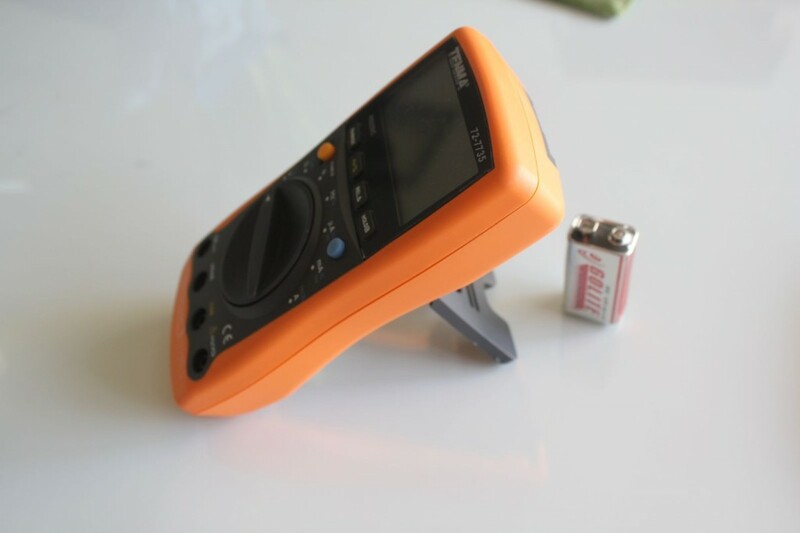 The multimeter has a great design that feels sturdy and solid, but also ergonomic and minimally simple. 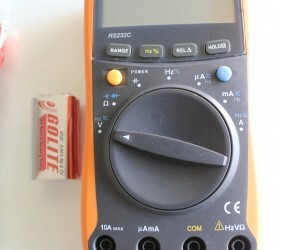 In my opinion this multimeter is very well designed and practical. 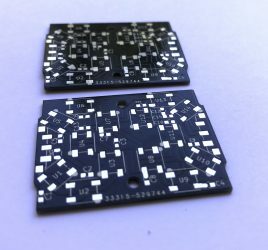 One cool feature of it is that it has a stand so that you can put it up on the table in a way that you don’t have to bend over to view the results of the measurements. 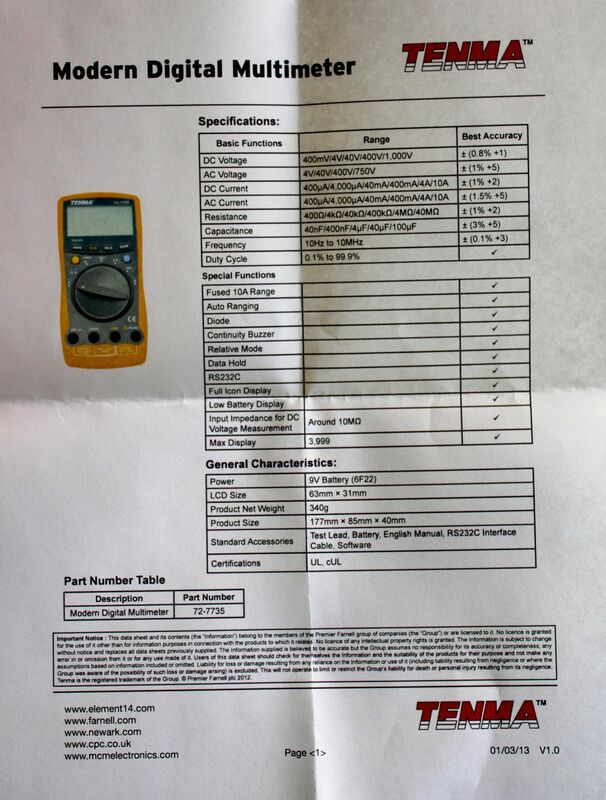 As you can see, the multimeter got the results right to the specifications. The 72-7735 has autoranging functions, meaning you don’t have to know the range of the property that you want to measure. 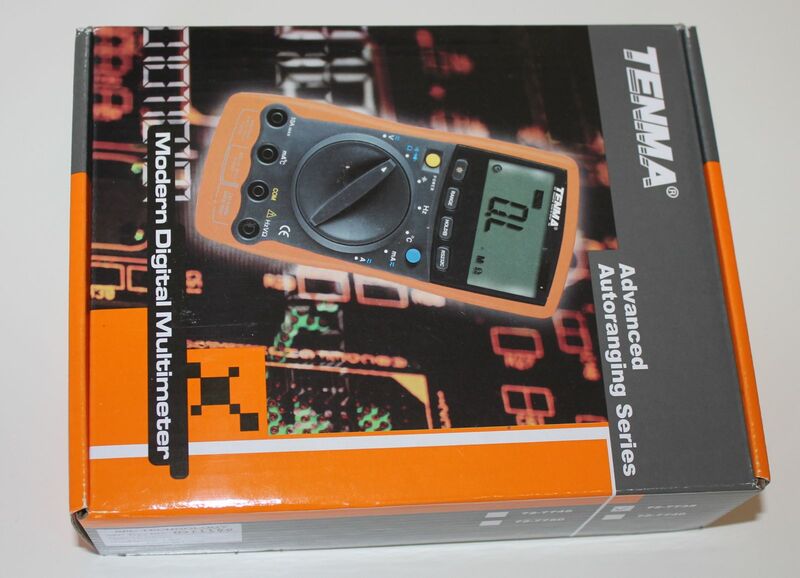 In the old multimeters this was pretty involved process – they would have many ranges for each property – V, A, Ohms, etc and you would have to find the right range for your measurement and sometimes that would take a while when the subject has unknown quantity. 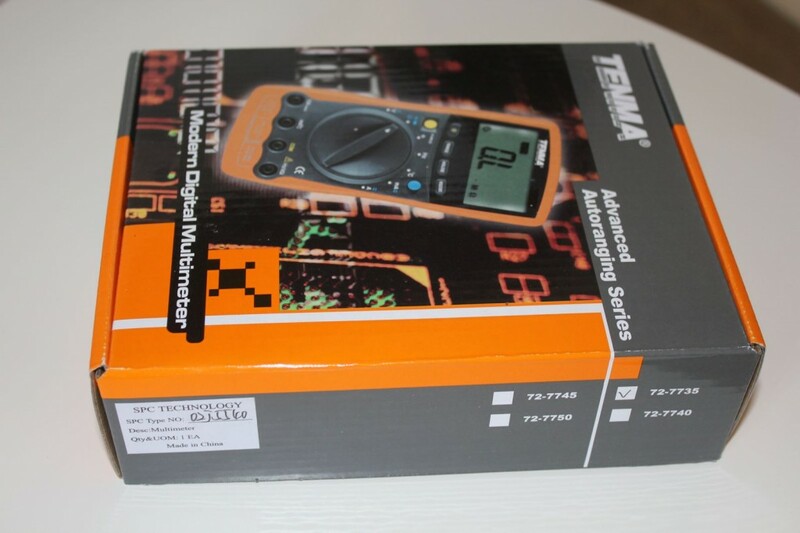 In this case the multimeter is smart enough to figure out the range automatically and apply the necessary protection and switching to the correct range. But it is not limited to autoranging, you can press the range button and select the range that you would like. I don’t know what the advantages of the auto range would be, in all of my experiments the auto range was sufficient and smart enough to guess the range for me. 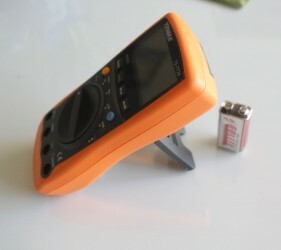 Another great feature of this multimeter is the HOLD button. 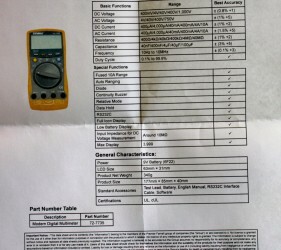 It allows you to lock the measurement so that when you disconnect the object being measured you still will be able to see the measurement. I have tested the multimeter with resistance, capacitance, voltage and current. 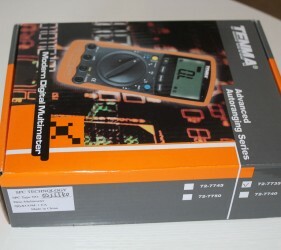 The multimeter is precise and responsive, well within specifications. 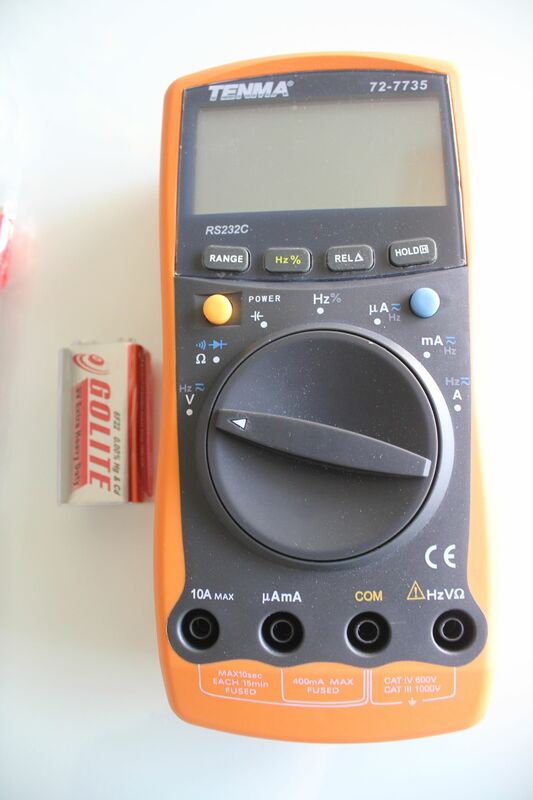 A couple of small things I have found inconvenient in this multimeter is the design of the metal part of the lead, I personally prefer a little longer metal part sticking out and this multimeter comes with leads that have the metal parts pretty small, probably to protect the user from the high voltage or high current and to avoid electric shock accidents. 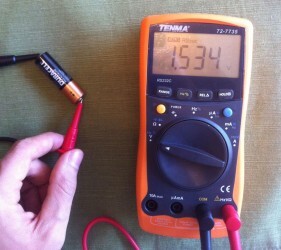 Another thing is that for capacitance and resistance it could take some time to get the measurement while the multimeter is probing different ranges. 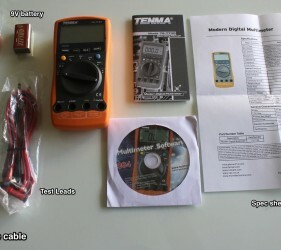 While some people don’t need a multimeter, I think that every man should own one. 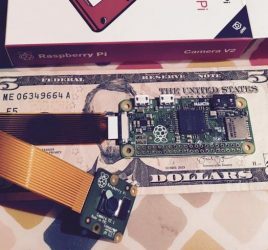 I use mine for battery testing, and for all of my electronics projects. 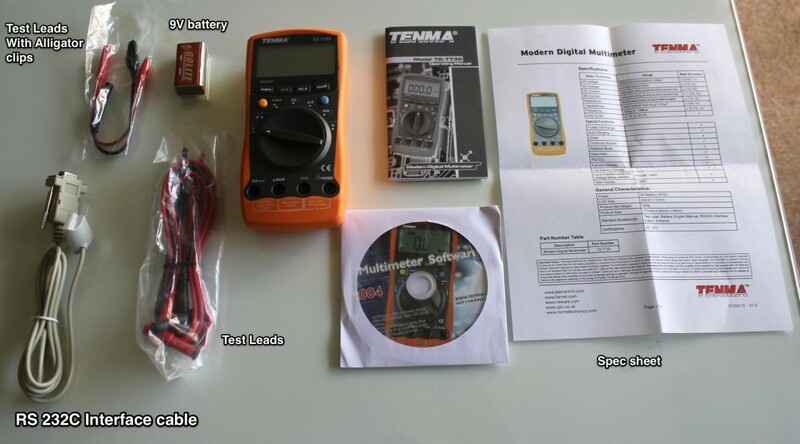 The TENMA, model 72-7735 multimeter is very good at what it is supposed to do, measuring electrical properties. It is very well designed, ergonomic and easy to work with, its durable construction guarantees many years of work and the simplicity of the functions guarantees not to have you confused about how to measure properties with it.